A cedar chest also goes by the name "hope chest." In the past, a traditional practice was for a young woman and her future husband to fill a cedar chest with items for their future home. Even if you think this idea is antiquated, you are never too old or too young or too single or too married for a cedar chest, which can be a beautiful addition to your home as well as being very functional. Cedar chests are ideal for storing anything and everything, including blankets, sweaters and winter clothes. A cedar chest provides a moisture-free, moth-free environment. If you choose, you can use the top of your cedar chest for additional seating space. Cedar chests can be constructed in the classic Americana style or French traditional, according to hopecheststore.com. They can feature drawer storage, spacious interiors, striking false fronts and quality hardware. A variety of other styles are also available. With such an ample selection, it may be difficult to decide which one is for you. Everythingfurniture.com states that cedar-lined chests can come with a waterfall top or flat top, with or without seat rails and in cherry, maple, solid oak or hickory. Cedar chests vary in size and, if custom built, can be designed to your specifications. Your name and special dates can be carved into the cedar chest, if you wish. Cedar chests can range in size. 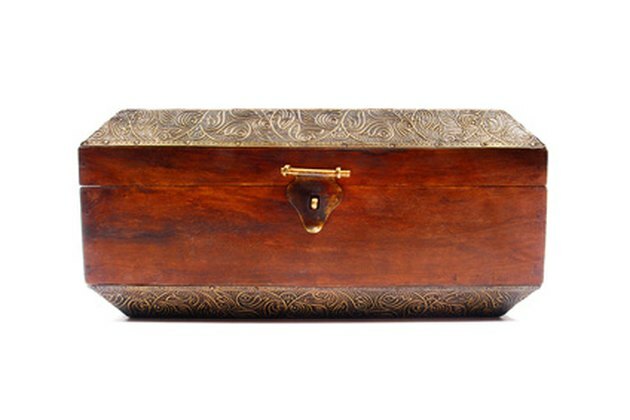 On the small side is a chest measuring 24 inches long by 24 inches high, which has approximately 18 inches by 9 inches by 11 inches of interior space. The biggest cedar chest constructed by harmonycedar.com measures 46 inches by 20 inches wide by 22 inches high, which affords 40 inches by 17 inches by 19 inches of interior space. Available styles of cedar chests include Hope, Lancaster, Mission, Blanket, Shaker, Classic, Harmony and Dowry, according to harmonycedar.com. A Dowry cedar chest is a formal style. It is higher off the floor than other cedar chest and has sturdy, curved legs. Harmony chest lids are thicker than Shaker chest lids. The Dowry cedar chest is usually cherry with a dark finish such as antique or chocolate, winter or ruby walnut. The lid has a solid wood trim. A Mission cedar chest has rich "tobacco" stains and oak veneer or solid oak construction. This style is considered timeless. A Shaker style cedar chest is designed with a flat beveled top, reversed side panels and Shaker style feet, according to amishtables.com. It is available in 38-inch or 48-inch width. A classic cedar chest can be used indoors or outdoors. The bottom is lined with red cedar, according to onlineorganizing.com. Cedar chests come in numerous styles, colors, finishes and designs. Take your time choosing one that meets your needs and complements your interior furnishings. For whatever purpose you decide to use the cedar chest, it will be a welcome addition to your home, and maybe to your daughter's home in the future.